WOW. SO BLAZE. MUCH FLASHY. My first two lessons on Hollywood were at Kim’s barn in her nice little indoor. For my third, Kim brought Hollywood to my home barn, and I got to ride him in our big outdoor. He really does have a striking face. Overall, it was the best of the three lessons. The light bulb moment from my second lesson proved persistent, and my confidence grew once again. 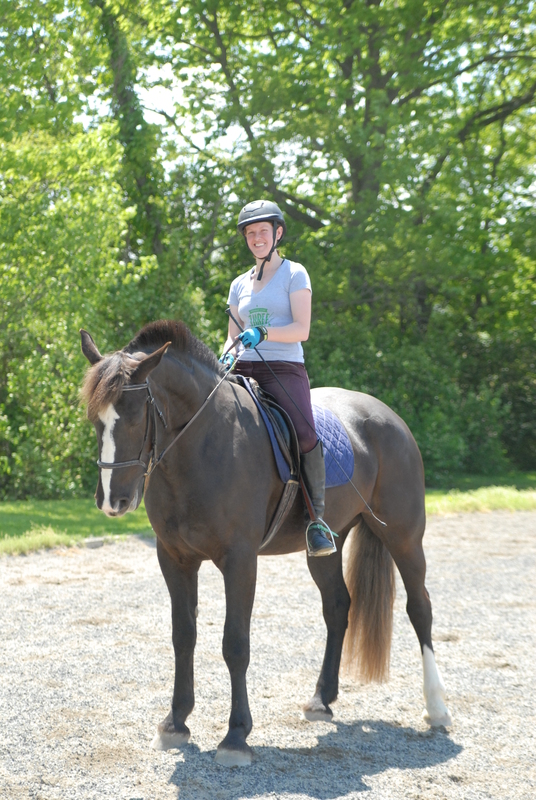 Riding in the outdoor also gave us much more room to do some extended gaits and changes – neither of which I’ve had any experience with! When I move my leg, I’m not moving my lower leg. I’m moving my whole leg. If I move just my lower leg, my seat isn’t affected at all! This made the most sense in asking for changes, where the cue comes from both the leg and the seat. If I ask for the change just by bumping with my new outside leg, I’m completely ditching half of the cue. I need to keep more weight in my heels, with my toes up. Ultimately this will both improve my lower leg and allow me to use my whole leg better – not to mention the improvements to my seat! 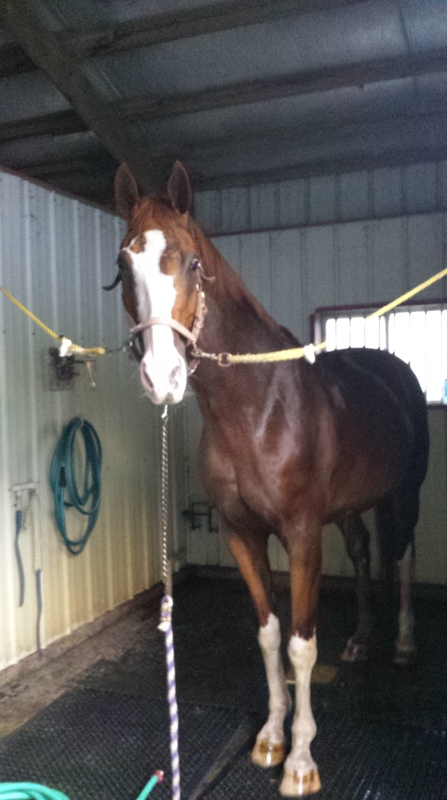 He likes to take my reins away. I need to be more aggressive about keeping them. Really, I need to be more aggressive about everything – downward transitions, staying on the bit, disobedience. I twist my body to the right. Stop it! I’m overthinking the shoulder-in. Surprise, surprise. Kim keeps telling me I need new, stiffer dressage boots. Any recommendations for a budget pair?. At this point I was getting pretty comfortable with Hollywood, and I was creating some decent work. I should have expected what would greet me at my next lesson..
Why do you need stiff boots? I have never heard of this. he sounds great to learn on! I haven’t gone to the stiff boot darkside yet. Good luck! 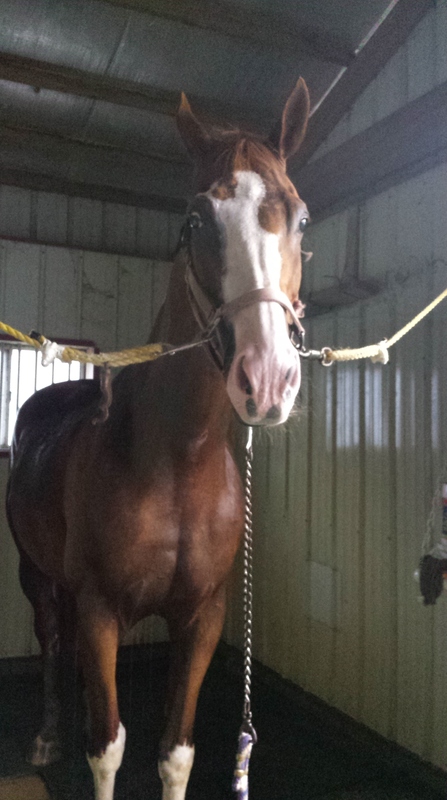 I love his curvy blaze! So cute. 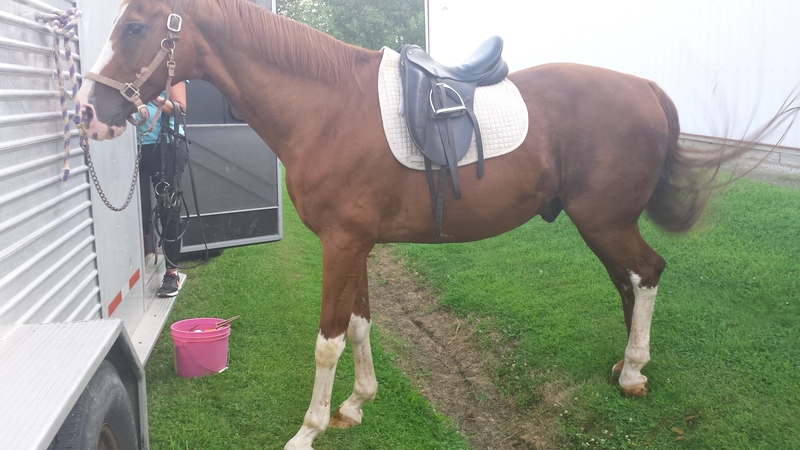 I definitely agree that stiffer dressage boots are helpful. They aren’t necessarily life changing, but I feel like they keep my legs in a more stable position and do help with clearer leg aids. I have a pair of Ariat Maestros for showing and clinic situations. They are the pull on variety so they are traumatic to get on and off but they do make a difference.